(BOSTON) — The Wyss Institute for Biologically Inspired Engineering at Harvard University today announced that its bedside data-acquisition software will be commercialized by a recently formed startup company, MediCollector LLC. The announcement follows a worldwide license agreement between Harvard’s Office of Technology Development (OTD) and MediCollector. The software was developed as part of the Institute’s infant apnea prevention program. During spells of apnea, normal breathing activity is interrupted in newborns and, if left untreated, this can result in a critical lack of oxygen that may cause developmental delays, long-lasting damage and even be life-threatening. The Wyss’ apnea prevention technology incorporates three unique components: software that continuously acquires vital signals such as breathing activity from affected preemies, an algorithm that analyzes the stream of signals to accurately predict apneic episodes before they happen, and a therapeutic mattress that is set off to vibrate and restore normal breathing as soon as an apneic episode is predicted. The technology was validated in collaboration with clinicians at the University of Massachusetts Medical School, Worcester, and Beth-Israel Deaconess Medical Center, Boston. The data acquisition software developed at the Wyss Institute, licensed and enabled to communicate with patient monitors by the MediCollector LLC start-up, creates a complete record of critical physiological measurements at the patient bedside. This allows for in-depth analysis of disease-critical changes and responses to therapies in patients. Credit: Beerkoff1/Deposit Photos. “While we were developing and testing our apnea-prevention technology, it became increasingly clear that one of its components, the data-acquisition software, had great potential value for a broad range of applications in research and healthcare, and not just for newborns in the intensive care unit,” said James Niemi, Lead Senior Staff Engineer in the Anticipatory Medical and Cellular Device Platform at the Wyss Institute. In today’s hospitals, clinically-relevant measurements, such as heart rate and blood pressure, are usually only recorded at infrequent intervals. Most of the vital data generated by medical devices at the bedside is therefore lost and never recorded,” said John Osborne, a Senior Staff Engineer at the Wyss Institute who pioneered the software development effort. As an important first step, MediCollector further developed the software initially designed for the apnea prevention system, to become an independent, portable and user-friendly software application capable of communicating with a variety of patient monitors and devices typically found in hospitals, and recording the data in a plug-and-play fashion directly onto a user’s hard disk. “A wealth of data could be collected with this software and mined to better understand how critical physiological changes evolve in patients with varying conditions, as well as how they respond to treatments. In principle, this can lead to more effective therapies,” said David Paydarfar, a Wyss Associate Faculty member and a Professor at the University of Massachusetts Medical School, Worcester, who was the scientific lead on the apnea prevention project. “While the initial application of MediCollector’s software will be research-focused, down the road, the company will build a larger portfolio in which the software is integrated with clinical alarm systems,” said Osborne, Founder of MediCollector. It has been shown that many of the alerts constantly beeping at the hospital bedside are actually false alarms that require no clinical response. 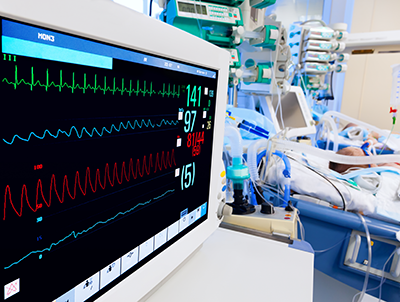 This can lead to patient distress and loss of staff efficiency and, at worst, it can produce the widely recognized issue of ‘alarm fatigue’, where hospital staff ignore critical signals. But currently, there are no effective tools for collecting and analyzing alarm counts and response times. MediCollector’s software could collect this data and make it available to hospital administrations aiming to improve their staff performance and operations. “The MediCollector startup is another great example of how Wyss Institute researchers work collaboratively with clinicians to develop and de-risk technologies, advancing research and speeding up impact at the bedside,” said Wyss Institute Founding Director Donald Ingber who is also the Judah Folkman Professor of Vascular Biology at Harvard Medical School and Boston Children’s Hospital, and Professor of Bioengineering at the Harvard John A. Paulson School of Engineering and Applied Sciences. Harvard University’s Office of Technology Development (OTD) (http://otd.harvard.edu) is responsible for all activities pertaining to the evaluation, patenting and licensing of new inventions and discoveries made at Harvard University. Harvard OTD also serves to further the development of Harvard technologies through the establishment of sponsored research collaborations with industry. The mission of Harvard OTD is to promote the public good by fostering innovation and translating new inventions made at Harvard into useful products that are available and beneficial to society.